This Caramelized Onion & Carrot Soup will surely hit the spot. Fresh carrots, onions and balsamic vinegar make this soup recipe one you'll want whenever you have a craving for soup. 1 Heat Spread in large saucepot over medium-high heat and cook onion, stirring frequently, until onion is deep golden brown, about 10 minutes. Stir in vinegar and cook until absorbed, about 1 minute. 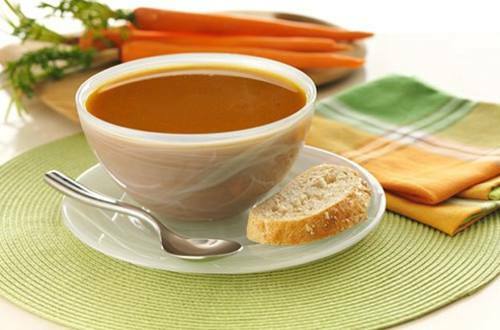 2 Add water, Knorr® Homestyle Stock – Vegetable, carrots and paprika. Bring to a boil over high heat. Reduce heat to low and simmer until carrots are tender, about 20 minutes. Process, in batches if necessary, in blender or food processor until smooth.